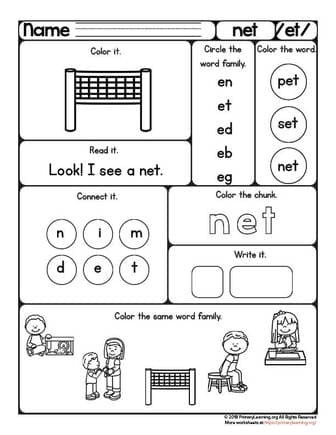 Kids read, build, chunk and spell the word TEN and learn to recognize the words within the same word family. 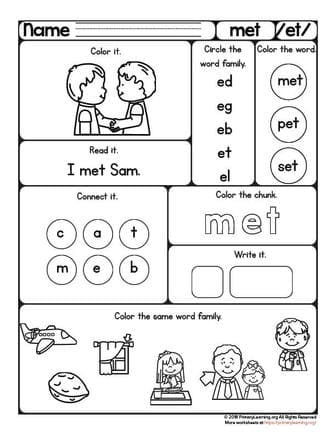 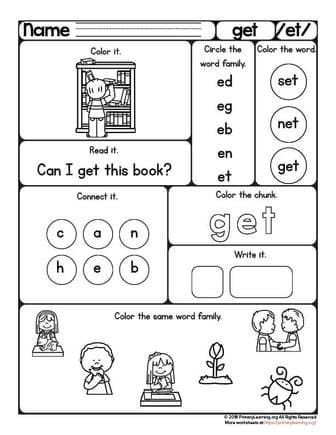 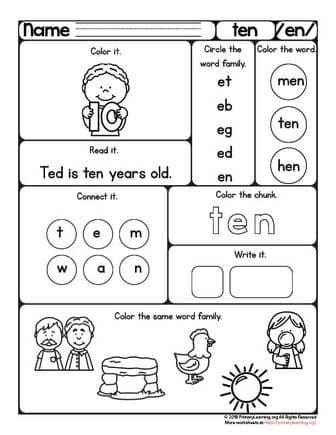 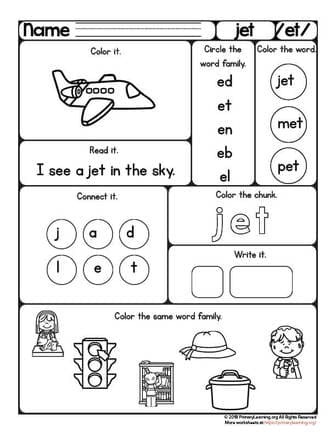 With this worksheet, kids learn to read, trace and build the word TEN. 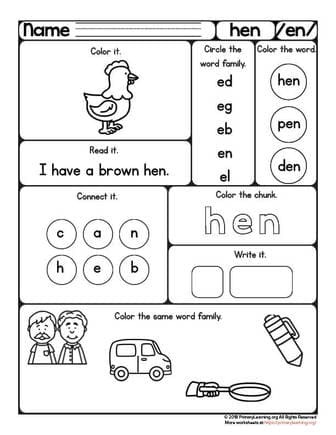 Kids read, build, chunk and spell the word HEN and learn to recognize the words within the same word family. With this worksheet, kids learn to read, trace and build the word HEN. 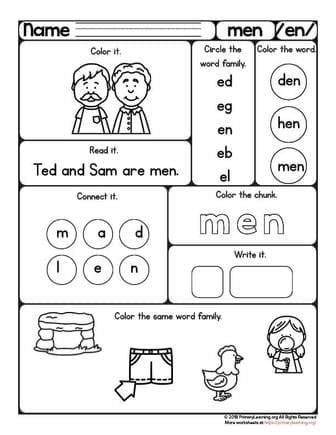 Kids read, build, chunk and spell the word MEN and learn to recognize the words within the same word family. 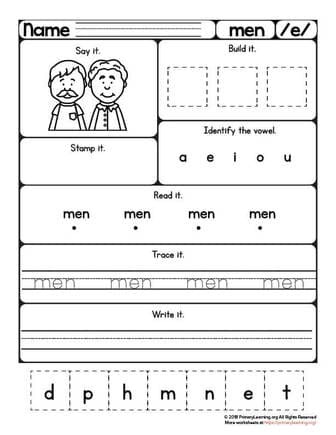 With this worksheet, kids learn to read, trace and build the word MEN. 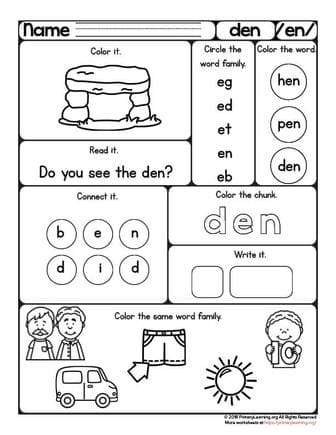 Kids read, build, chunk and spell the word DEN and learn to recognize the words within the same word family. 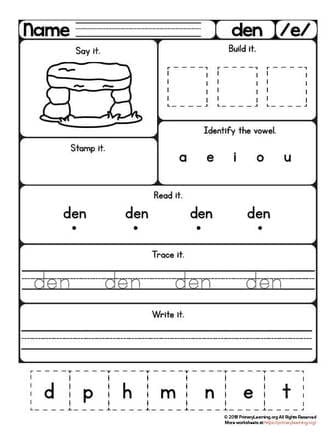 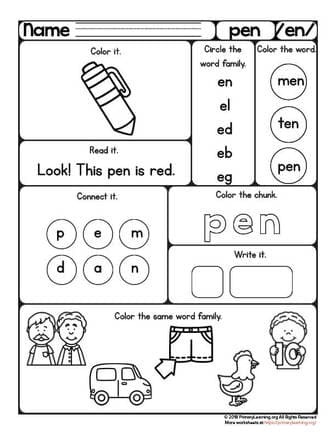 With this worksheet, kids learn to read, trace and build the word DEN. 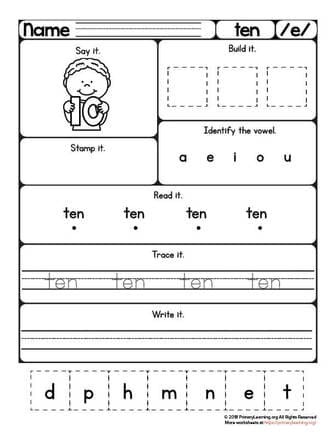 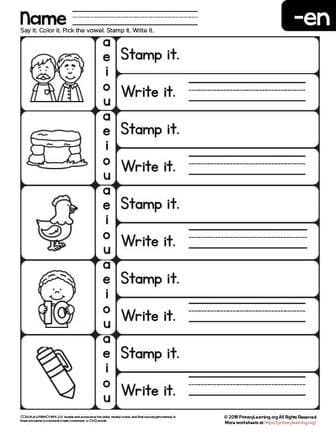 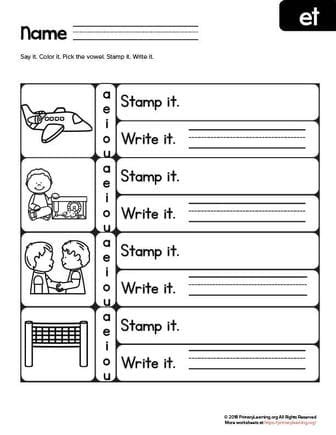 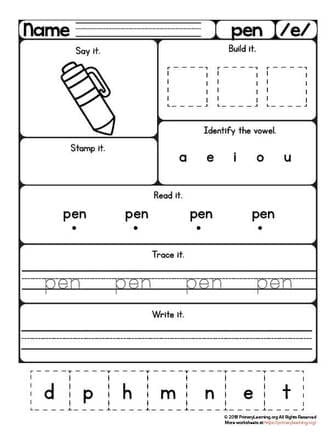 With this review sheet, kids write and stamp words ending EN: den, men, hen, pen, ten. 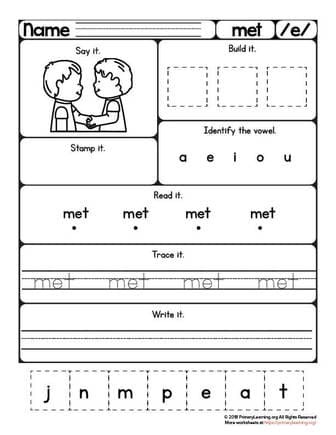 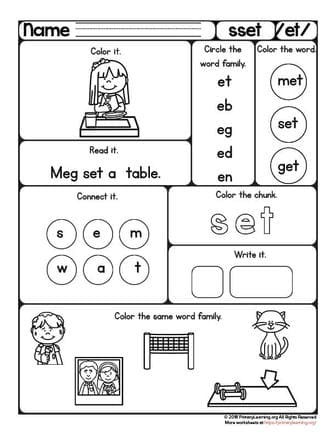 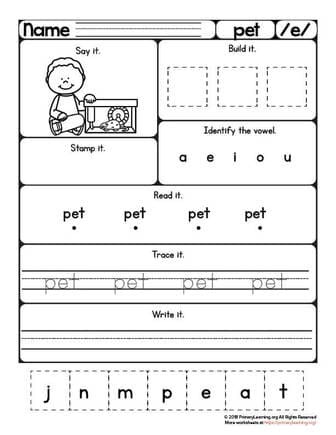 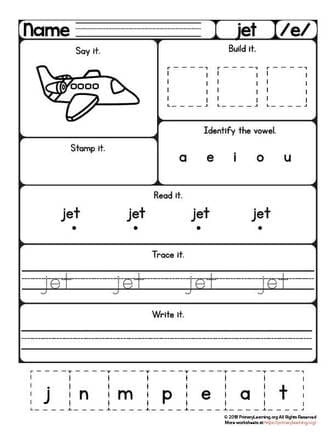 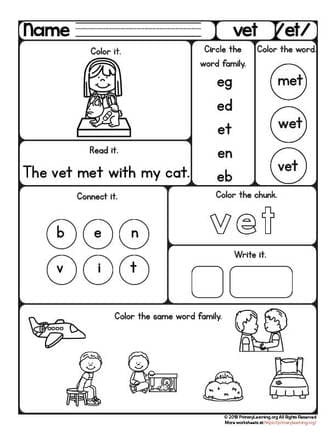 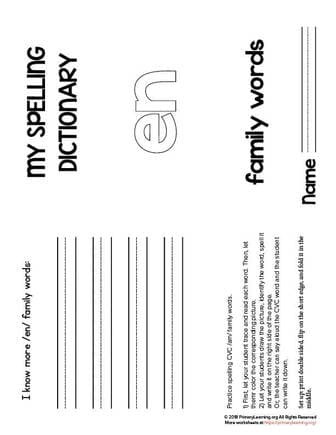 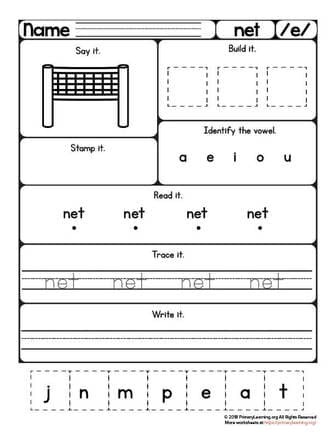 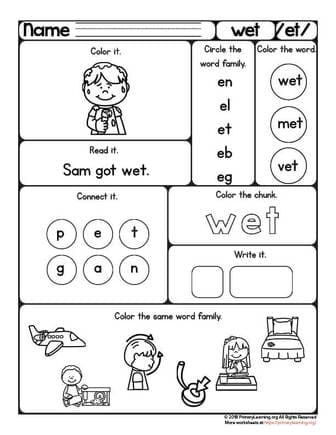 With this worksheet, kids practice writing and spelling words ending with EN. 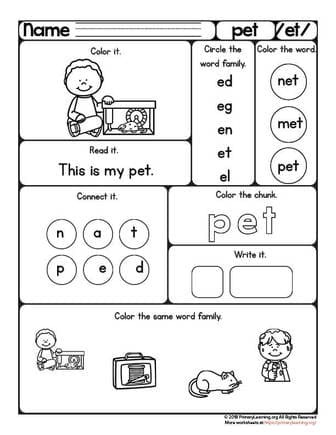 Encourage kids to self-check their spelling.